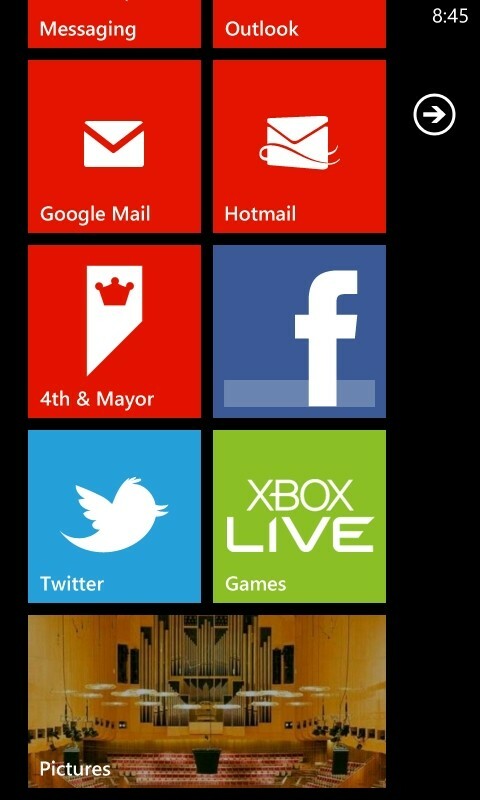 One of the great features of Windows Phone is the level of personalization you can do to your Start screen. Not only can you pin any app to the Start screen (and in Mango, even some specific parts of an application), you can customize the look and feel of it quite easily. 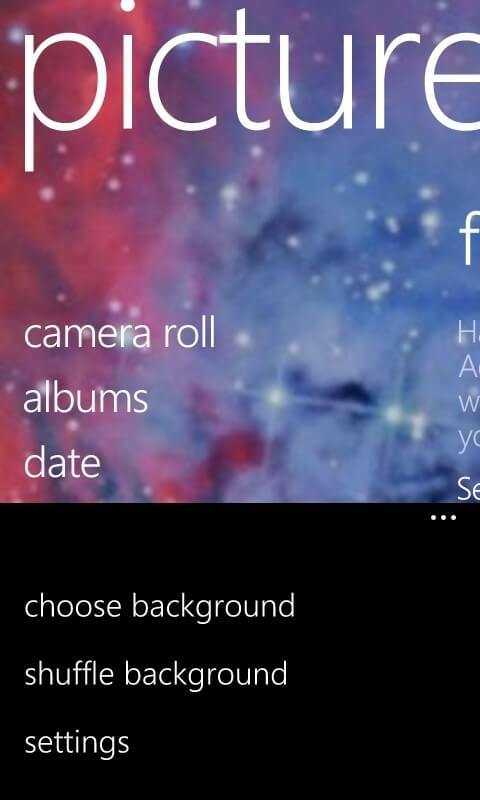 One of these personalizations is the ability to change the wallpaper in the Picture Hub. 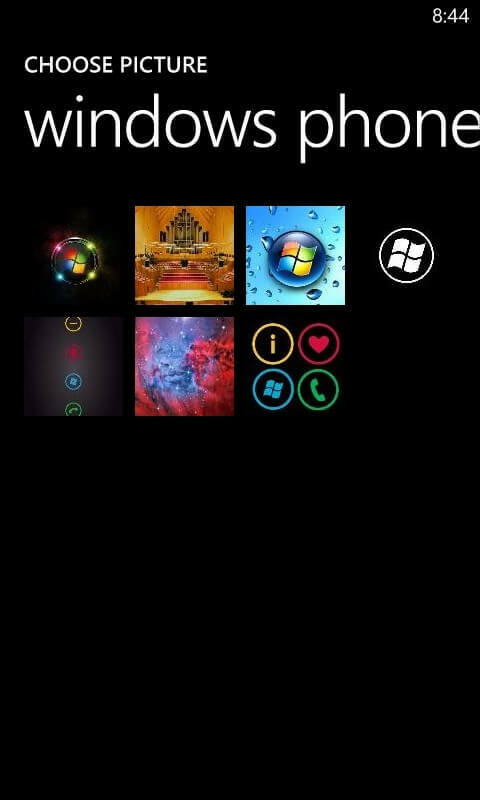 This features has been there since the original release of Windows Phone and it is easy to change it to suit your style a little better. Admittedly this is a easy How To so if you are an advanced Windows Phone user, you may want to stop reading here and go to the next post. 🙂 For those that are new however, let me show you how easy it is to make this change. 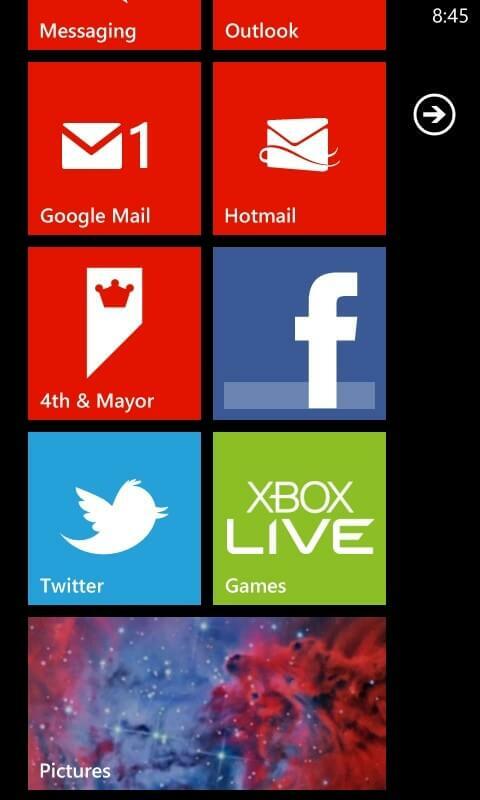 To start, here is a screenshot of my Start screen with my current Pictures Hub tile wallpaper. To change the wallpaper, tap the Picture Hub to open it where you will see this same wallpaper. 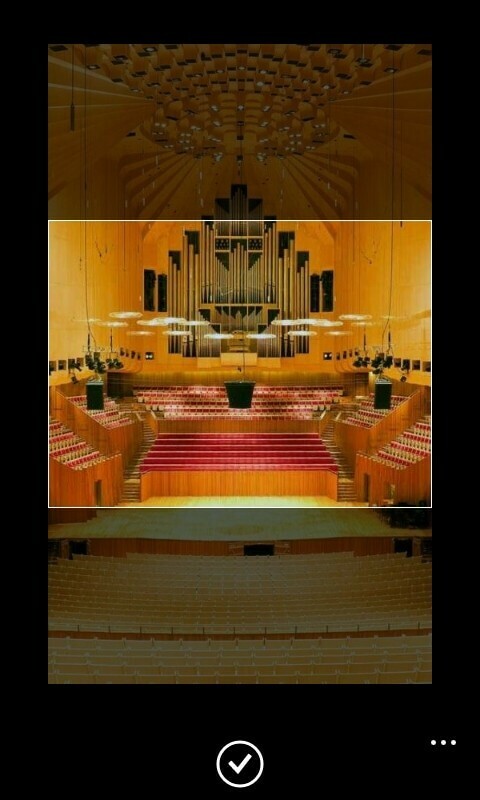 Tap the More button ( the … at the bottom right of the screen) and select Choose Background from the menu. 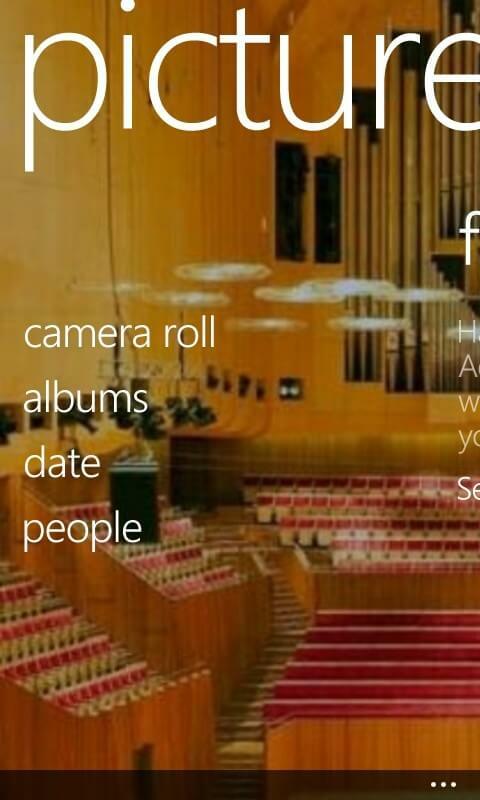 This will open up your Albums that you have on your Windows Phone. Navigate to the Album that contains the photo that you want to use for your wallpaper and open that Album. Next, select the photo you want to use. Once you tap the photo you want to use, the display changes to a template that will show you exactly what part of the photo will be used for the wallpaper. You can move the picture up, down, left or right and can pinch or pull the photo to resize it to your liking. Once you have the photo the way you want it, tap the checkbox button at the bottom of the screen. Now you will be brought back to your Picture Hub and your new photo is now displayed as the background. 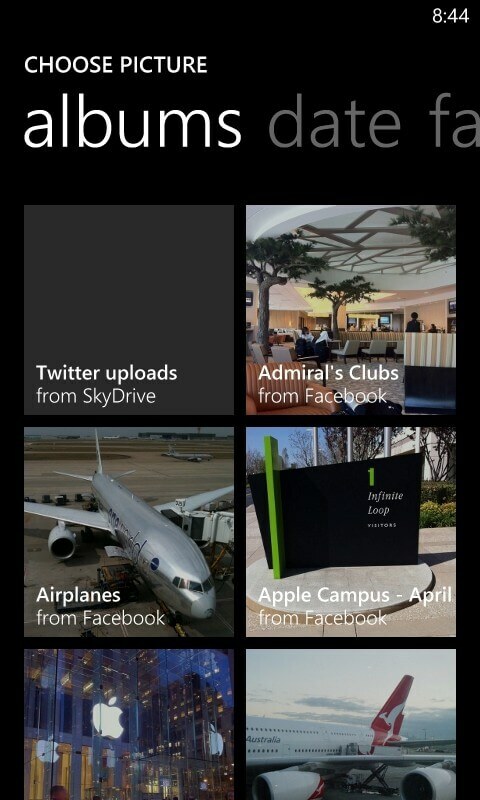 This new photo is also now the wallpaper used as the background on the Picture Hub tile on your Start Screen. As you can see, changing the wallpaper in the Picture Hub is quick and easy!